Supportive Housing — Perspectives, Inc.
Perspectives Supportive Housing campus abuts a large city park with winter sliding hills and basketball courts, which children use year-round. It consists of five apartment buildings comprised of 53 completely furnished apartments (from one to three bedrooms) that are attached by common grounds that include green space, brick paths, three patios with grills, community gardens, and a beautiful children's playground. 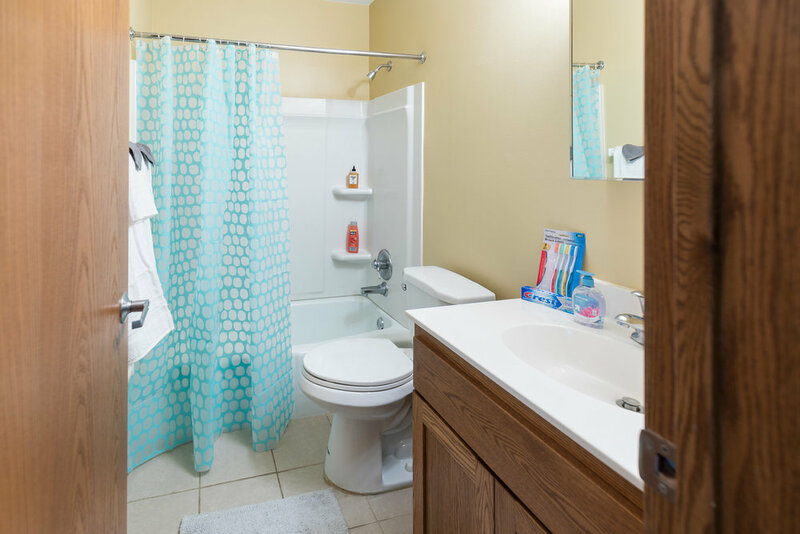 Our program is the largest therapeutic supportive housing for women and children in Minnesota, housing annually approximately 75 women and 130 children. 75 homeless, dual-diagnosed women will live in Perspectives’ Supportive Housing Program throughout 2018. 110 homeless children will live in Perspectives’ Supportive Housing Program throughout 2018. 75% of families will move from Perspectives Supportive Housing to permanent housing within the community after living at Perspectives for a minimum of 12 months. 70% of women in the program will participate in school, job training, or be employed. 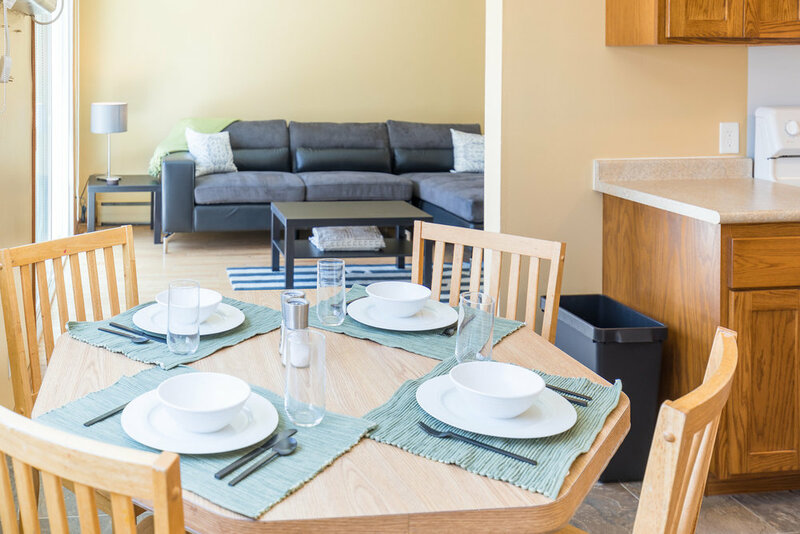 Basic Needs: All apartments are fully furnished with couches, chairs, lamps, beds, dressers, and kitchen supplies (pots/pans, dishes, utensils). In addition, each has an approximately two-month supply of necessary toiletries and cleaning supplies. Sober Housing: Random checks are made to ensure residents remain drug-free. Case Management: Each resident meets weekly (sometimes daily) with a Case Manager who assists her and monitors her progress toward her program goals. Family Reunification: For mothers entering our program who have children in child protection, 95 percent of these families will be reunited within the first six months of being in our program. Twenty-four hours per day/seven days per week Supervision and Crisis Response: Perspectives has two on-site staff living at the apartment campus. Smoke-free Environment: Apartments are smoke-free in order to promote healthy lifestyles and to protect children from exposure to secondhand smoke. Access to Kids Connection Program: A comprehensive afterschool and summer youth development program that provides academic and social enrichment for children at the kindergarten through eighth grade level. Life Skills Training: Includes programming to build skills in areas such as parenting, finances, wellness, etc. Culturally Competent Programming: Perspectives’ staff recognizes the cultural differences within our population of residents. We have a diverse staff of case managers who bring expertise from the Native American and African American cultures. Referrals are also made to other services in communities of color. Transportation: Perspectives employs two part-time mini bus drivers to transport our families to grocery stores, doctors, daycare, and to the Perspectives Family Center for programming. Childcare: Free childcare is provided for our residents while they are attending our programming at the Family Center. Access to Jump Start Program: Job readiness and soft skills training directed at preparing participants to increase their employability so they can earn a livable wage. Community Childcare: Perspectives assists residents in identifying and accessing community childcare services, including providing transportation to and from daycare in our mini bus. Emergency Food Assistance: This service is available when women first enter the program or on an emergency basis.